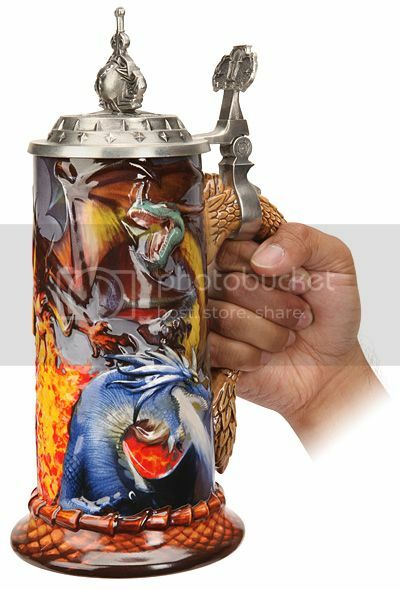 Here’s the perfect item for life- and job-neglecting, overspending (on computer hardware), sedentary, junk-food-eating World of Warcraft addicts* who want to celebrate their oh-so-distinctive lifestyles: a $100 Warcraft stein from which they can imbibe more Red Bull while sitting on their assess in a dark room illuminated only by the glow of a 27-inch monitor. * Stereotyping? Why yes, I think I will, thanks.